Here is a comprehensive practical guide to entire wafer fabrication process from A to Z. Written by a practicing process engineer with years of experience, this book provides a thorough introduction to the complex field of IC manufacturing, including wafer area layout and design, yield optimization, just-in-time management systems, statistical quality control, fabrication equipment and its setup, and cleanroom techniques. In addition, it contains a wealth of information on common process problems: How to detect them, how to confirm them, and how to solve them. 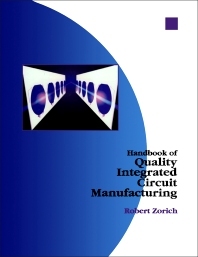 Whether you are a new enginner or technician just entering the field, a fabrication manager looking for ways to improve quality and production, or someone who would just like to know more about IC manufacturing, this is the book you're looking for.